Sator Print opened in Siena in 1999 as a shop for restorations and bookbinding art. In time, it developed into a multidiscipline atelier where different kinds of art are applied to produce high quality printing and restorative work. The essence of the art produced is the quality of the paper and the style of the calligraphy to bring out the most beauty of the objects. 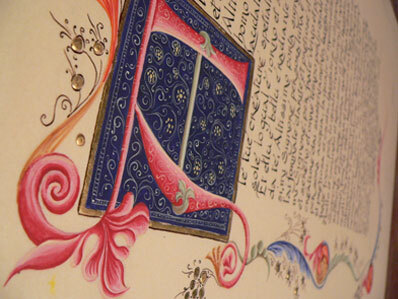 The calligraphy is used as an art, to provide the continuity, linking the past with modern times.